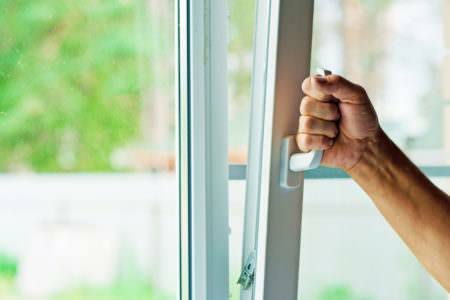 An orangery is more of an extension compared to a conservatory so it can be much warmer. 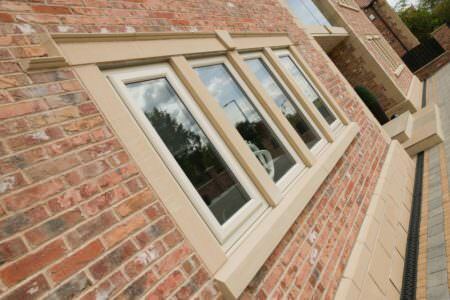 If you are after lots of natural light then your orangery can be built with minimal brickwork. 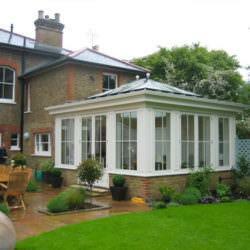 Both conservatories and orangeries have brickwork sections as part of their side structure but they are much more prominent in an orangery. 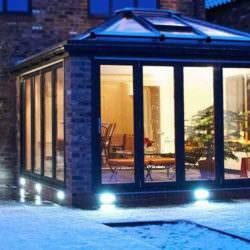 An orangery gives you the option to have sky lights coming from the roof and along the wall. 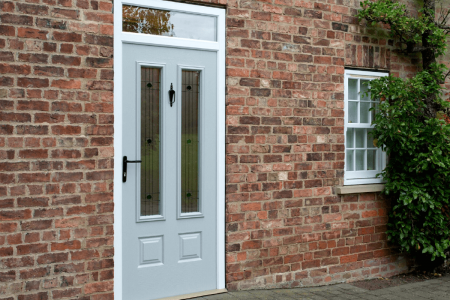 Orangeries are constructed in a stunning combination of brick pillars and glass, making it an elegant and sophisticated extension for any home. 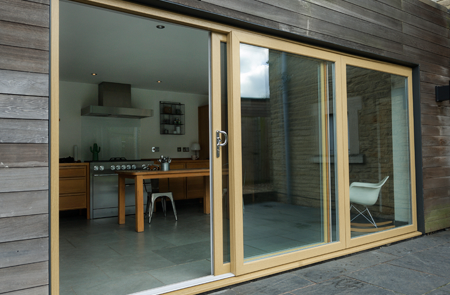 The orangery gives you a luxury, practical space to enjoy all year round. 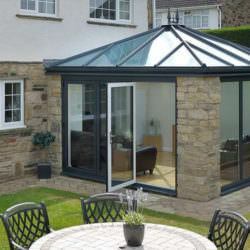 The orangery features a lantern style roof which is different to the typical sloping roof of a conservatory. 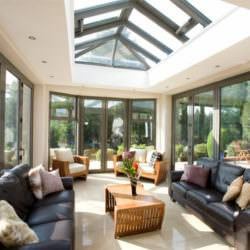 A conservatory roof connects directly to the side-framing, whereas an orangery’s roof has more of a flat element which can be further customised to suit your home with various colour and material options. 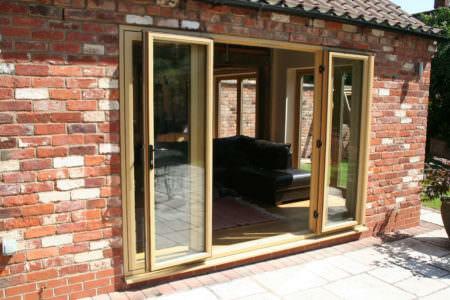 Orangeries offer greater privacy than that of a conservatory because of their added brickwork. 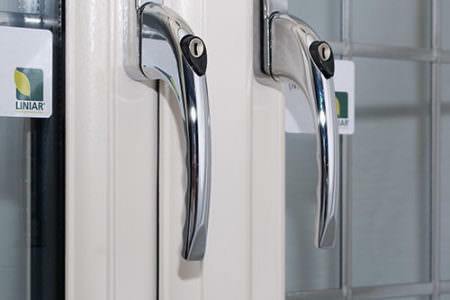 Whether you use your orangery as a kitchen extension, living room or guest bedroom, the orangery provides you with a stylish space to use anytime of the year. 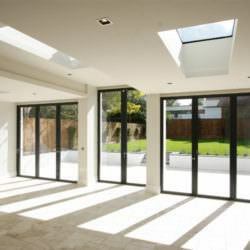 Those with South facing properties can really benefit from an Orangery extension. 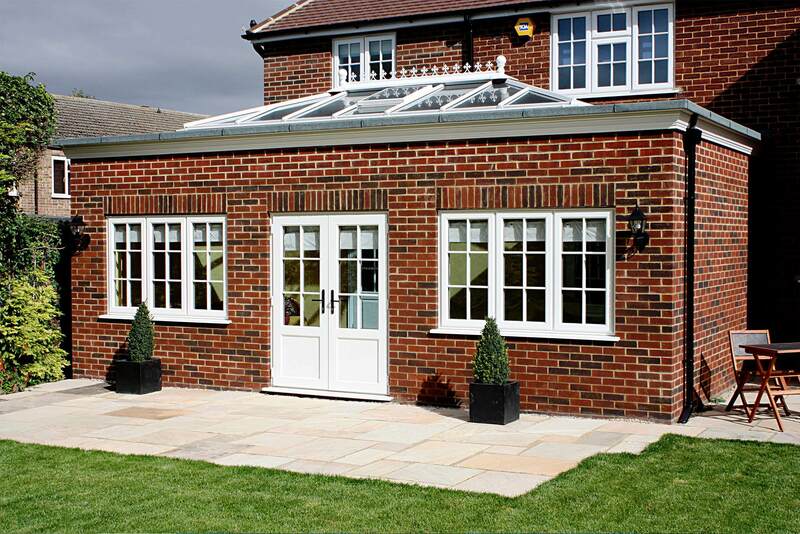 Orangeries provide ample protection from the sun whilst allowing you to enjoy a bright and great looking space. Today’s modern style orangery combines the light and airy feel of a conservatory with all the great practical benefits of a sunroom. 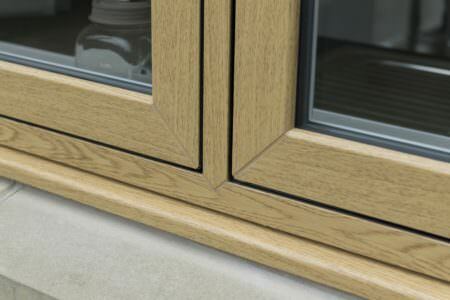 Orangeries provide you with a versatile, stylish and practical room to use all year round. An orangery is built to be a seamless extension of your home and be designed to match your existing brickwork, providing extra living space as well as lots of light. 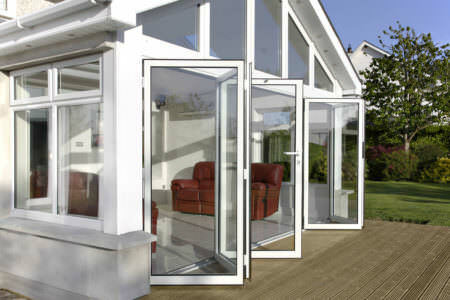 An orangery has greater acoustic properties than a conservatory because of their insulating brickwork. 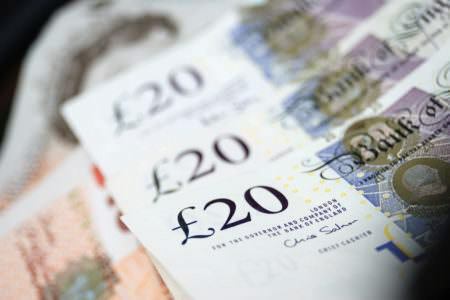 This also makes them very energy efficient and provides a great place to carry out lots of activities and hobbies. 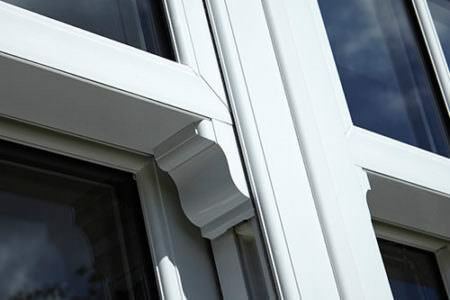 Orangeries offer great temperature control as they give you a solid wall construction which allows for cavity insulation. 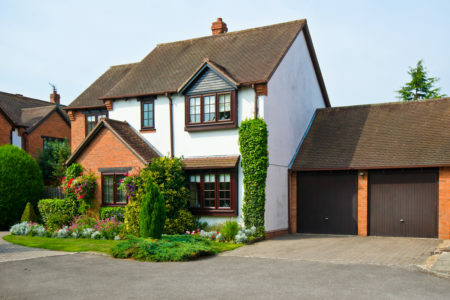 You can enjoy all year round comfort whilst still benefiting from plenty of light from a beautiful, open glass ceiling. 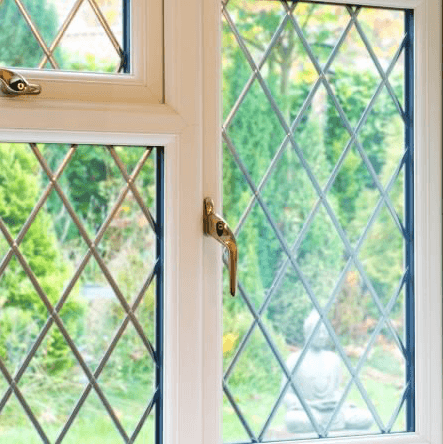 An orangery will add lots of value to your property. 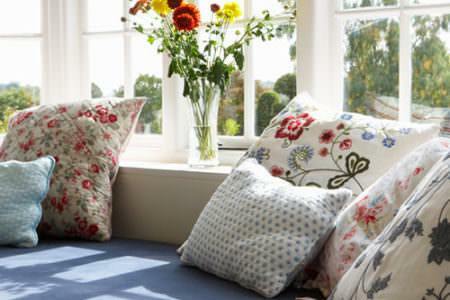 Not only does it provide an extra room within your home but it will bring much added light and depth to your property. 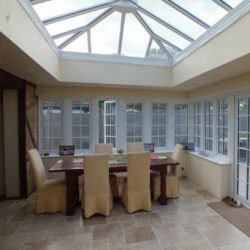 Compared to a complete extension build, the orangery is much more cost effective and offers all the qualities of a conservatory and extension combined.